Women Your Mother Warned You About™ are strong women who take a stand and don’t conform to “the norm”. The original idea behind this show was to produce a reality tv show (now in development) in alignment with our mission to help lift other women to success, even when circumstances seem impossible and overwhelming. To serve women quicker, Gina Trimarco and Rachel Tipton chose to produce a podcast first. 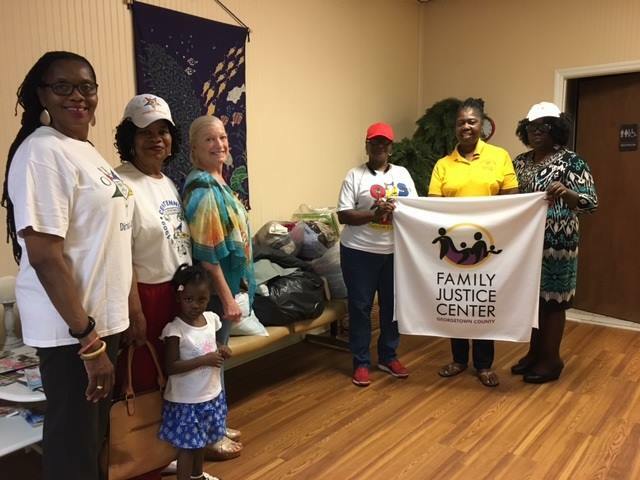 One of the organizations that we support is one local to the area we live in – Family Justice Center. Family Justice Center of Georgetown and Horry Counties is a unique collaboration of community partners and agencies working together to provide a safe and welcoming environment for the victims of domestic violence, sexual assault and child abuse. This Family Justice Center model has been identified as a best practice in the field of criminal domestic violence intervention and prevention services.